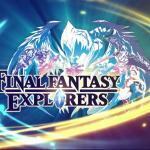 Final Fantasy Explorers Comes To America Early 2016 By now you should be used to the Final Fantasy series and its respective characters being pimped out in side game after side game, usually in deformed anime or chibi form. It’s that time again! 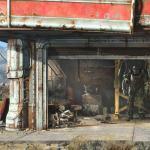 Sign Up For Your Fallout 4 Loot Crate Fallout collectors may want to keep an eye on the game merch delivery service Loot Crate in the coming months. 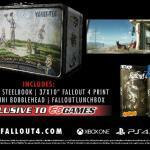 Loot Crate and Bethesda have announced there will be a special Fallout 4 edition of Loot Crate delivered to the lucky few who can get one. It has not been revealed what items are inside the crate (that would defeat the point of Loot Crate) but the company says their Fallout 4-themed handout will be “very limited” and anybody who might think about peeking inside will want to reserve their crates today. Another Fallout 4 Collector’s Edition Announced, This One Australian The Land Down Under is apparently getting a different version of the Fallout 4 Collector’s Edition than the rest of us. Revealed today, it comes with a different pack of physical extras, including a lunchbox to carry it all in (or your meals, if you so choose). 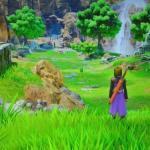 Dragon Quest XI Announced For NX — Yes, Nintendo’s NX Everyone was expecting Dragon Quest XI to be revealed today during Square Enix’s livestream. What nobody expected was for them to announce an NX game — and not only that, but to show footage. 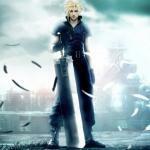 The presentation, embedded below in Japanese, runs at an hour and forty minutes. Dragon Quest XI is revealed an hour into the video; gameplay footage is shown an hour and ten minutes in. 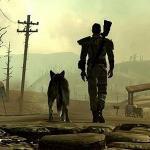 The Fallout 4 Survival Guide Will Release Alongside The Game Fallout 4 is going to be a massive game, and it deserves a special kind of guide. 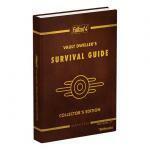 Hence the Vault Dweller’s Survival Guide, written as if it came out of the Fallout world. It’s 400 pages long and includes detailed instructions on living, working, crafting and surviving in a post-apocalyptic wasteland with only a dog for company. 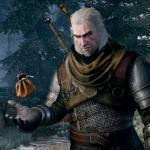 The Witcher 3’s Final DLC Is A New Game Plus Mode CD Projekt Red promised fans of its most recent release, The Witcher 3: Wild Hunt, that the game would have 16 separate free DLC downloads eventually. They’re very close to fulfilling that promise as they’ve just announced what their sixteenth and last DLC is. While most of the content has been fairly light (a new costume, ooooo), their last offering is something of use, provided you completed the game or are close to doing so: A New Game Plus. Dragon Quest XI Logo Revealed, Thanks To Leak Above you see the blurry image of the logo for the next main game in the Dragon Quest series. It’s blurry because the only copy the media has right now is 200 by 200 pixels. And the reason for that is because no one was supposed to have it yet.